research to educational and political issues, and to create a dialogic framework for the research process. The site is organised into the following sections as listed in the navigation bar above. New material will be added on a regular basis to each of these sections and through my blog I also hope to comment from time to time on cultural and political issues of the day. Please feel free to contact me using this link or the link above. Rethinking the Legacy 1968 – New! Phil presented plenary talks at this session which brought together different generations of writers, researchers and activists to consider the political and cultural legacies of 1968, and their bearing on the future prospects for a more democratic, equal and participatory society. For more information and to see his talks, click here. The book explores issues of archival theory and practice that arise for any project aspiring to provide an open access platform for political dialogue and democratic debate. It is informed by the author’s experience of writing a memoir about his involvement in the London “underground” scene of the 1960s, the London street commune movement, and the occupation of 144 Piccadilly, an event that hit the world’s headlines for ten days in July 1969. After a brief introduction that sets the contemporary scene of “archive fever,” the book considers the political legacy of 1960s counterculture for what it reveals about the process of commemoration. The argument then opens out to discuss the notion of historical legacy and its role in “the dialectic of generations.” How far can the archive serve as a platform for dialogue and debate between different generations of activists in a culture that fetishizes the evanescent present, practices a profound amnesia about its counterfactual past, and forecloses the sociological imagination of an alternative future? 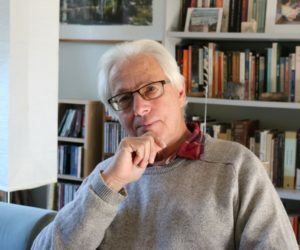 The following section looks at the emergence of a complex apparatus of public fame and celebrity around the spectacle of dissidence and considers how far the Left has subverted or merely mirrored the dominant forms of reputation making and public recognition. 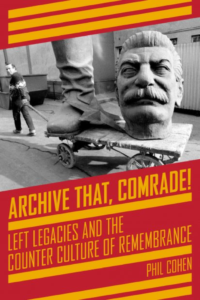 Can the Left establish its own autonomous model of commemoration? Also available at Amazon: Archive That, Comrade! I would like to acknowledge those who have been essential to the creation of this website: Norman Dallura (Dallura Web Design), Donald Nicholson Smith (editorial consultant) and Jane Mullins (copy editing).